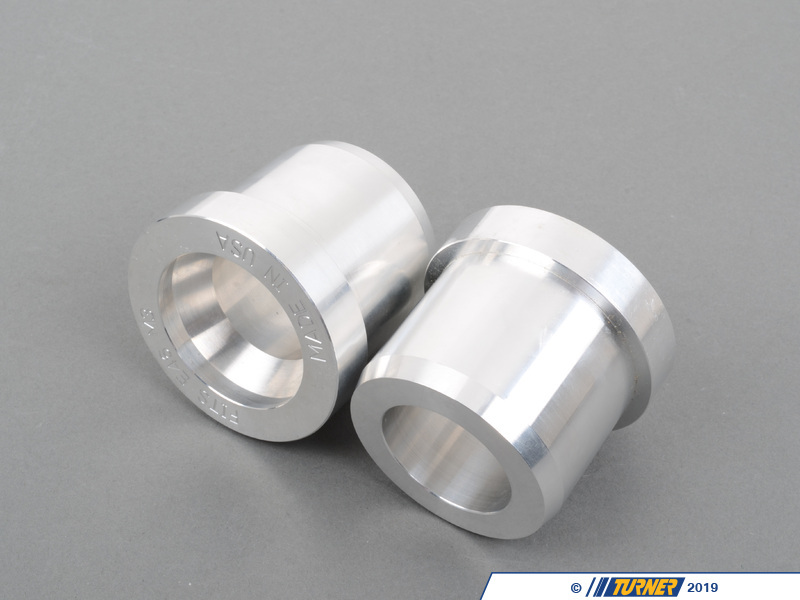 Replacing with new factory bushings will return the factory feel. 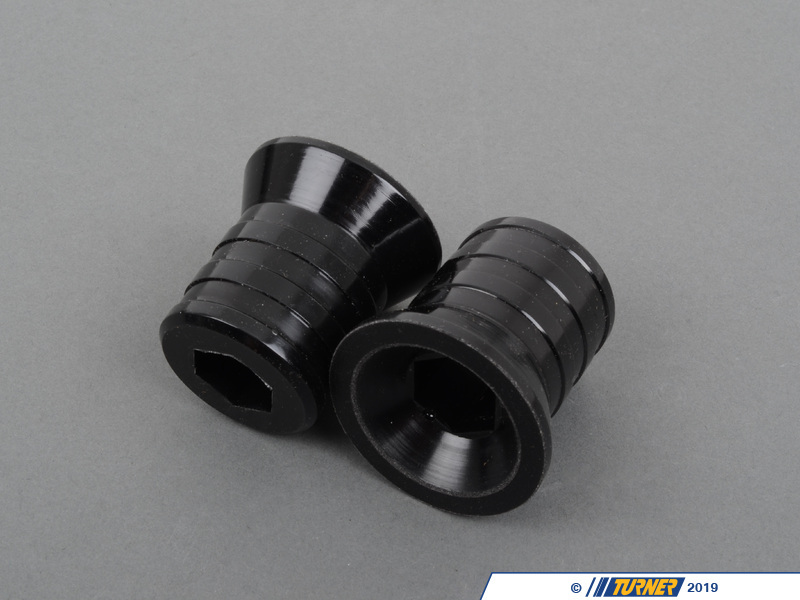 These urethane core bushings, however, offer something MORE. 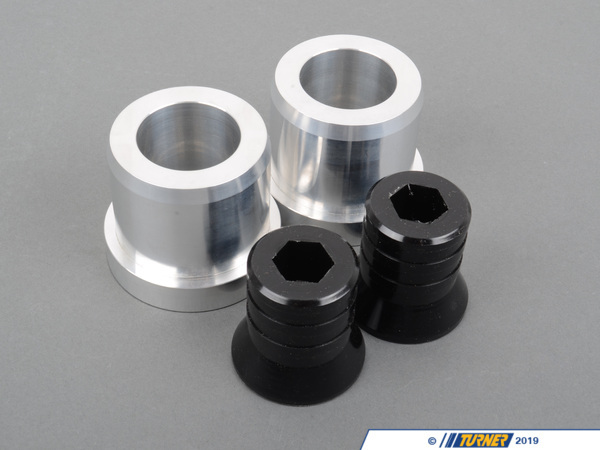 These bushings are designed to deliver performance that surpasses the stock E46 M3 bushing, while still allowing them to be used in everyday driving scenarios on public roads. 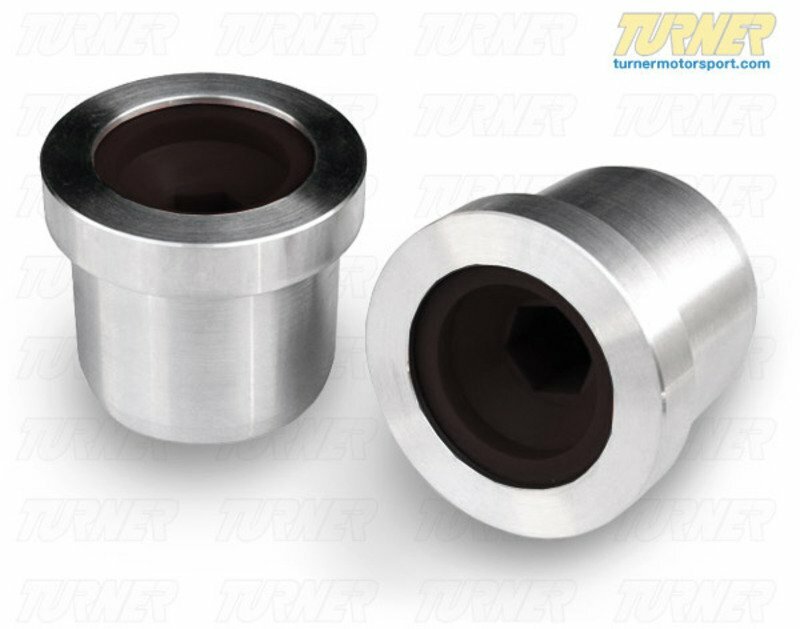 With the numerous delrin/urethane/hybrid replacement bushings in the market, we wanted to offer bushings that were not only effective, but simple. No clips, no washers, no multiple sleeves, and no "race parts in street cars". They have an aluminum outer sleeve with a replaceable, compliant urethane core that is serviceable and rebuildable. These urethane inserts prevent unwanted control arm deflection, while allowing noise/vibration/harshness (NVH) isolation -- a must on any bushing being used on a street driven car. And because of their compliance they remain very comfortable for daily use. But because they are a heavier-duty design than stock, these eliminate steering shimmy and wander, especially with the addition of big brake upgrades. They maintain BMW's original suspension geometry, and give your M3 a directly "connected" feeling with the front end of the vehicle. Perhaps best of all, these bushings are easy to install and are designed for longevity. Professional installation on suspension components is always recommended.